Happy New Year! The 2018 WAMBA Calendar has been released. Now it's time to mark in the diary, the events your aiming for this year. Stay true to your new years resolution and kick start the year. Be it giving Cyclocross a crack and enjoying hand ups, or giving a cross country event a try. 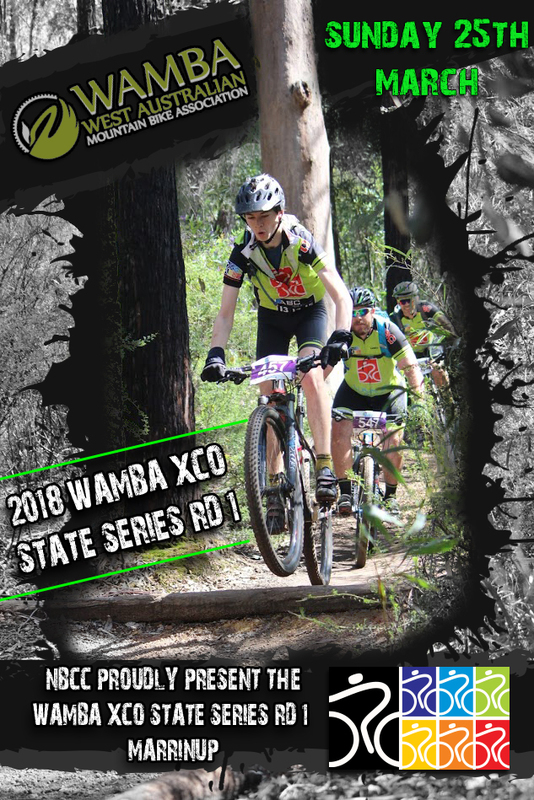 On that, what better chance to do exactly that, than at Round 1 of the WAMBA State XCO series, on March 25th, at the Marrinup Circuit. Proudly hosted by, yours truly, NBCC. Get on down, lend a hand, and have a crack at the single track stuff, it's smiles for miles. If you any question regarding the up coming events, get in touch. Also, if your able to help on the 25th of March, we'd love to see your there, to help put NBCC on the map.